Bonaldo Total Living. The collaboration between Fabrice Berrux and Bonaldo is confirmed for the second year. Come to discover Panorama sofa, awarded at the Good Design Awards and the new products: Delta table, Otto Chair and Parentesi coat stand. 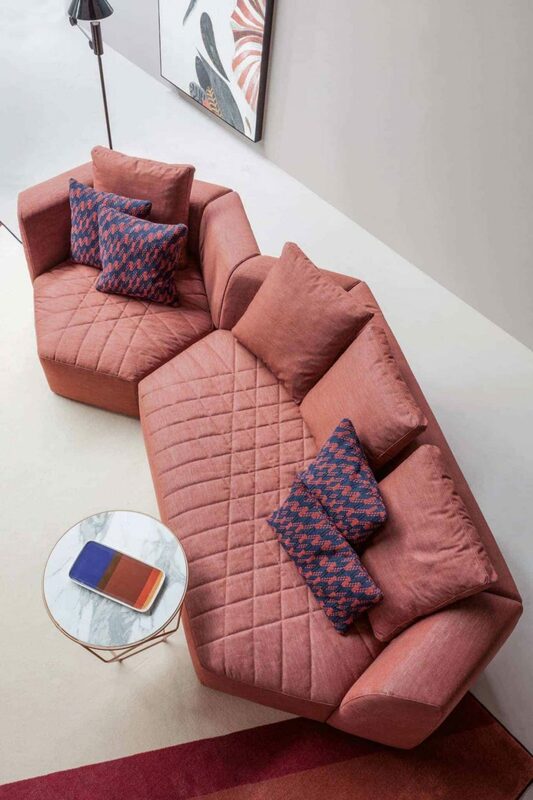 a quilted cover that gives character. #design Giuseppe Viganò for #Bonaldo. Ideal for a young, informal and modern home. Fluff is a soft feather upholstered bed with an attractive design, also available in a container version. #design Mauro Lipparini for #Bonaldo.